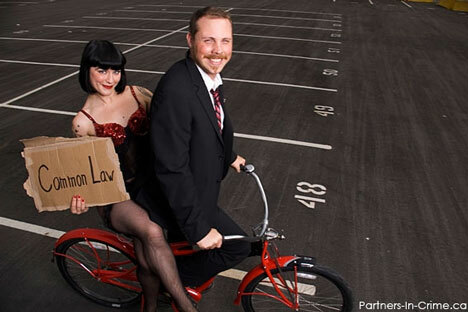 All photos © and commentary by Trevor Jansen Photography, partners-in-crime.ca, Vancouver. 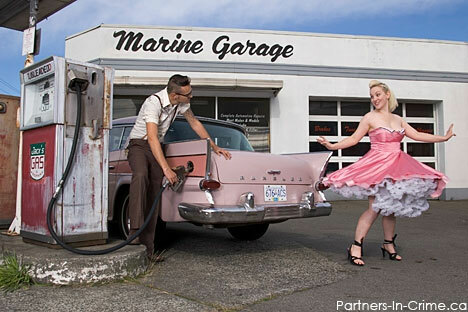 This concept shot for a fashion designer and a vintage auto mechanic was a lot of fun once we found the right location. They were so happy to see so much of their own personality in this session. Jai and Danielle wanted a strong red, black and white colour theme for this back alley session which contrasted class with trash beautifully. Dan & Amelia wanted some fun shots for their engagement. We all had a good laugh as Amelia chased Dan around and beat him with her bouquet. This image was on Lehna's wedding announcement. 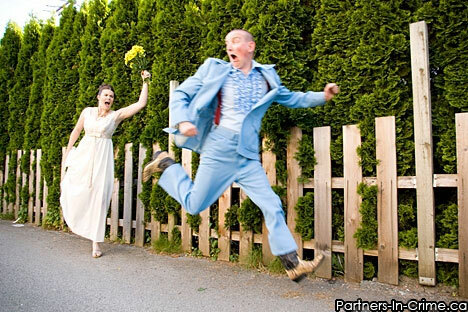 She was super stoked to be getting married and wanted her family to know how happy she was. Her energy was limitless and it's kind of amazing how much she was able to bounce around for this shot. 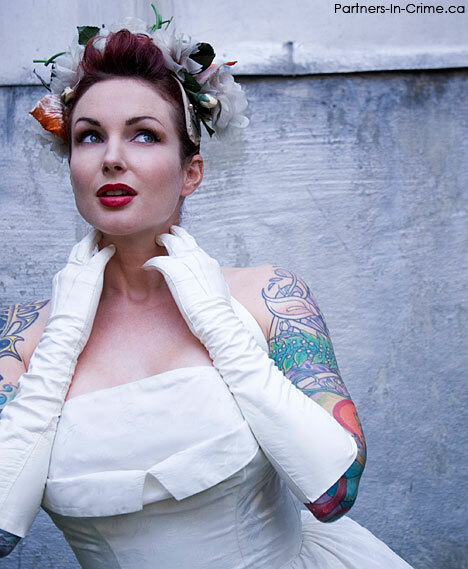 Tattooed brides often feel the need to cover up but Sarah's ink was so beautiful and such a integral part of her personality that I wanted them featured in this strapless gown. This mix of traditional and modern really captures the west coast aesthetic.